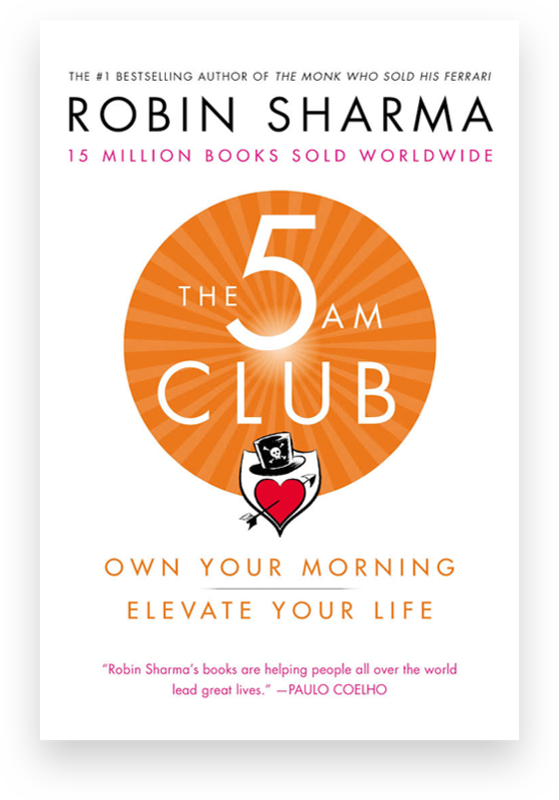 Robin Sharma’s latest work “The 5 A.M Club” (“the book”) presents itself as a formidable contender for “The Worst Book of 2018” award. Extraordinarily insipid, extremely uninspiring and inexplicably long-winded, the book is well served remaining unread! Replete with borrowed quotes, resonating with irrelevant similes, and riding on a by now familiar philosophy, Robin Sharma feebly and futilely attempts to package old wine in a new bottle. Unfortunately, the damaged quality of the bottle deteriorates the very essence of the wine. The message being dished out by Mr. Sharma is neither innovative nor novel. The basic idea being to jump out of one’s bed at 5.00 A.M in the morning and perform a set of activities involving the exercise of both mental and physical faculties. THIS IS IT both in a nutshell as well as in the philosophy’s entire expansion. However, what could have been ensconced within a precise tract or even a pamphlet is extended, elongated and elaborated in a most painful manner that makes a reader plough through 314 excruciating pages. The fact that in a book titled “The 5.00 A.M Club”, it takes 51 pages for a character to actually wake up at 5.00 A.M speaks volumes about the peripheral irrelevance that masks the core matter. In order to convey a purely simplistic message, Mr. Sharma bizarrely elects to employ a story telling method which exasperates and enervates the reader to an infuriating degree. Yes, you really become tired reading (or at least trying to) the book. It is an unenviable chore trudging through a morass of pages that has at its centerpiece three characters. An entrepreneur who comes perilously close to taking her own life, courtesy an attempted investor coup before a seminar transforms her. Wearing bracelets with inspirational quotes etched on them, she signs on to become a member of the 5.00 A.M Club. She is joined in this endeavor by an artist who keeps fidgeting with his dreadlocks when not repeatedly mouthing “def” for “definitely. The mentor for both the entrepreneur and the artist is a quirky billionaire who when not mouthing quotes picked from Gibran to Seneca or doing dervish whirls and hand stands, spends time taking his two students on freewheeling tours to Mauritius, India, Italy and South Africa, imparting the tenets of the 5.00 A.M club. To assist him in this endeavor he keeps addressing his students as “cats” while himself using surfer slang such as “gnarly” to such a liberal extent that the reader feels like taking a sail boat over the book! In addition to beginning every chapter with a famous quote, the book strings together sayings at a speed which would put even the reproductive capabilities of rabbits to total shame! Quotes by the renowned and the reviled fly at you from all angles making both deflection and assimilation equally impossible. One would do well instead to invest in a book of quotes and peruse the same meticulously. Mr. Sharma, while meticulously putting together the powerful sayings of many greats who have trod on this Planet, seems to have missed out on a set of most important rules – the immortal Six Rules laid down by George Orwell. One of the rules postulates, “If it is possible to cut a word out, always cut it out.”. If only this rule was followed the “5.00 A.M club” would have been an eminently readable book. The “5.00 A.M Club” – deserving of a pass. First, see my comment on your previous post. What got my goat is a brazen attempt to package mediocrity as a self help offering. These self-proclaimed Gurus need to realise that they cannot take their readers for wanted. Indeed. It seems self-help is now considered an easy market. Thing is, if you’re motivated, you don’t need someone explaining it all, and if you’re not motivated, no amount of books, well-meaning or otherwise, is going to help.